When your father is a wine merchant and your mother an excellent cook, a career in food is somewhat inevitable. Having grown up picking fruit and veg from their garden in Norfolk, Tom Aikens knew that he wanted to be a chef from the age of 12. After completing an Advanced Catering Diploma, he worked for several revered chefs in London and France, including Pierre Koffman and Joël Robuchon. In 1996, aged 26, he was back at the helm of Pied à Terre when it retained its second Michelin star, making Aikens the youngest British chef to achieve this feat. 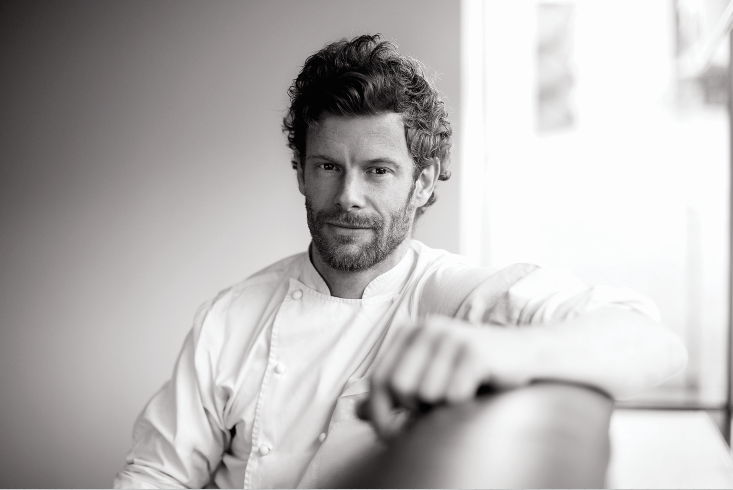 Seven years later, Tom Aikens Restaurant opened in Chelsea and gained a rising two-star status by 2008. When it closed in 2016, Tom launched brasserie-style Tom’s Kitchen, which now has five branches: three in London, one in Birmingham and another in Istanbul. I met Tom ahead of the Chelsea relaunch to discuss his new ventures, family and personal growth. 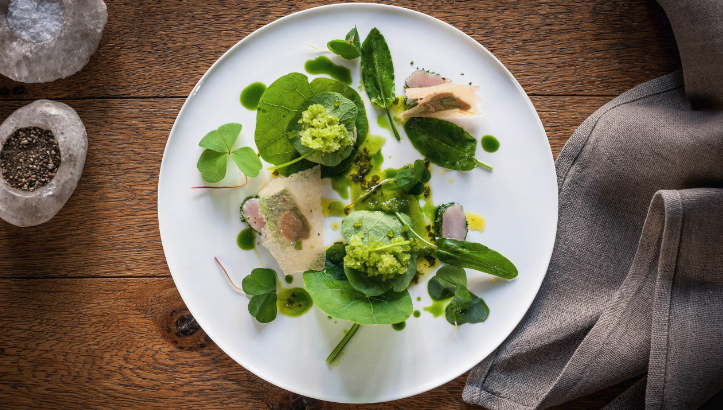 After creating and serving haute cuisine at your eponymous restaurant in Chelsea for many years, how have you found the transition to focusing on brasserie-style dishes at Tom’s Kitchen? The basis of all cooking – from sauce-making to stews – has all come from France. There’s a time and a place for haute cuisine because it all stems from there. I mainly trained with French chefs and so have dipped a toe in the classic and non-classic sides. Tom’s Kitchen is about simplifying the processes involved in creating more commercial dishes, not the ingredients. The dishes aren’t as time-sensitive or difficult, but still creative. In terms of the passion, respect and love, whether it’s making a simple salad or an extravagant tasting menu, it’s the same level of detail. 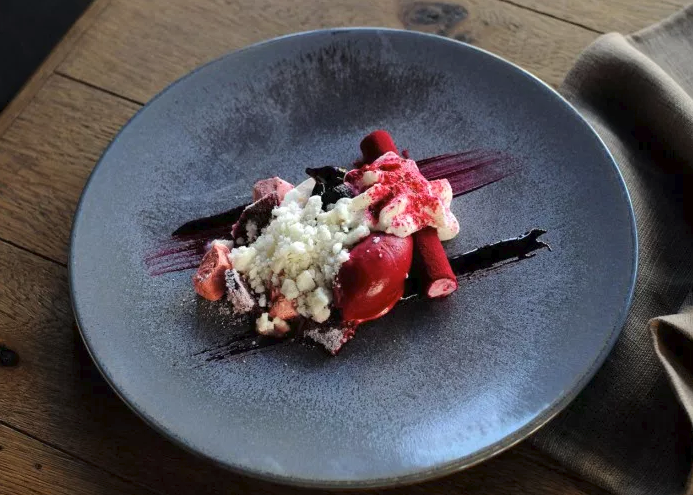 Chef collaborations are increasingly common, but if you were to work with an artist, who would be your dream partner and what do they represent for you? People have compared my style of food to Jackson Pollock’s art. His work isn’t curated; it’s very natural and free-flowing. Things don’t have to go at certain angles or be in certain positions. I think food should appear on the plate as nature intended. All artists have their own creative style, and it’s the same for chefs. I think we’re a bit easier as we have the seasons to inspire us. When vegetables come into season, it’s about how your mind puts them together. You were encouraged to get your hands dirty in the garden as a child, growing your own fruit and vegetables. Do you teach the same lessons to your daughters, and if so, how have they reacted? They’re only four and six, so they’re not thinking about doing anything like that. They have a goldfish to look after, but that’s about it! They do like food a lot, but they’re quite fussy. They’ll try things, but they don’t eat food for enjoyment; it just fills their bellies. It’ll be a couple of years before they grasp the enjoyment of it. Also, we don’t have a garden, so we can’t grow vegetables. I was lucky because we had a big garden in Norfolk and could grow things; it was a very different set-up. As a regular visitor to France since childhood, which region’s cuisine appeals to you the most and why? France as a whole appeals to me. As a child, I travelled more to the central south near Clermont-Ferrand. We had very classic, gutsy and earthy food in Auvergne; not gastronomic at all. I’m happy to go anywhere in France because you know you’ll find something good. I don’t think you can get a consistent level of food in every country, but you do in France. Becoming the youngest British chef to be awarded two Michelin stars at 26 is a staggering achievement. Were there any disadvantages along with the opportunities? The main disadvantage is not knowing how to manage people. When you’re a head chef for the first time, you have to learn to communicate and lead a team. It’s always difficult when you’re young because you’re not as expressive or mature. I really struggled with letting go and giving responsibility to others. At that age, you think you’re the bee’s knees and you want to do everything yourself. There’s no support: you’re on your own. No-one teaches you, so you just have to learn from your mistakes. Of all the countries that you have visited, either in a professional or personal capacity, which one has left the strongest impression on you and why, be that positive or negative? I love Hong Kong because it’s a very cosmopolitan city. Like London, it has everything: a diverse population, different cuisines and price points, street food up to three Michelin-starred dining. It’s a very edgy city: always expect the unexpected. I find it very alive; it’s just a very fun place to be. It’s an interesting destination for restaurants; you can eat very cheaply or blow the budget. I haven’t been anywhere that I can say I’ve disliked because I’m always open-minded. I try to look at the positives of each place I visit. I’ve had bad experiences, but I still try to look on the bright side. When you’re travelling, things don’t always go well. 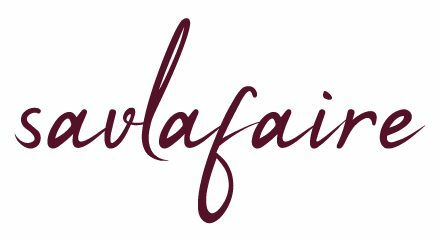 In late 2017, you headlined the 8th Annual Food and Rum Festival in Barbados. How has the island changed since your previous visit in 2000? It’s funny because very little has changed. There are a few more built up areas and hotels, but the feeling and friendliness of the island is the same. All the beaches are really nice, and the fun side of Barbados has remained, so the island hasn’t been destroyed by tourism. You have an identical twin brother, who is also a celebrated chef. Has sibling rivalry ever become excessively competitive, and if so, under which circumstances? We’ve always been competitive and focused, but never against each other because that’s not what we do. There isn’t any rivalry: we both have our careers and hopefully we’ll collaborate as well. We’re aligned in making sure that during the next ten years, we do something together, be it in New York or here [London]. Between the two of us, we’ve amassed around 50 years of knowledge, which is obviously a massive positive. Using that to create something would be cool. What is the one thing that people usually ask from you and do you accommodate them? I get asked the most about my career, what I wanted to become and how I got there – all answers that I can easily roll off the tongue. I’m always very happy to share my feelings and talk about the way to achieve things. Although it’s a lot easier as a chef to succeed now, getting someone to help you get there… I’m focused on helping good chefs who are driven, want to prosper and aspire to being something. I’ve probably sent a dozen chefs abroad to work in different establishments because it’ll benefit them and I know it’ll make them better people as well as better chefs. As for the more scandalous moments of my career, we all have them; everyone has skeletons. It’s a question of dealing with them. It’s not about putting them behind you; you deal with them and move forward. I’ve had a few, but you just have to take it on the chin. 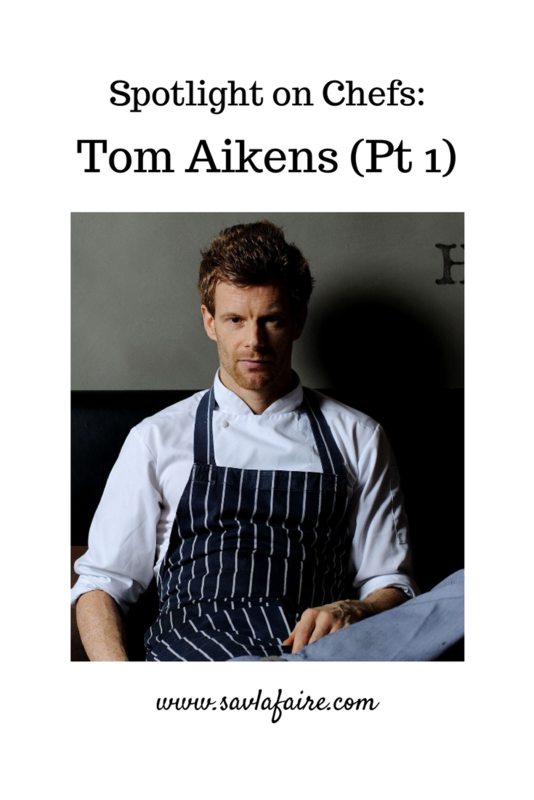 If you enjoyed reading this Tom Aikens interview, check out the second part here, and more exclusive Spotlight on Chefs interviews here. Great interview, Seetal. Interesting Tom has a twin chef brother too – do you know who that is?.. Thanks, Aaron. Tom’s brother is Rob Aikens and he lives and works in Washington DC.